The Dow Jones Industrial Average today (Wednesday) added more than 185 points as energy stocks surged and economic optimism rallied ahead of the Christmas holiday. Positive data indicated consumer sentiment reached a five-month high in December, while personal income levels ticked up again for the eighth consecutive month in November. The S&P 500 and the Nasdaq received their biggest boosts from biotech giant Celgene Corp. (Nasdaq: CELG), which saw shares pop nearly 10%. The biotech company announced it has settled a patent case tied to its best-selling cancer treatment Revlimid. Stock Market News: All 10 major S&P sectors were up today, with energy stocks and materials stocks leading the triple-digit rally. It was a big day for commodity stocks, including Freeport-McMoRan Inc. (NYSE: FCX), which added more than 16%, and global aluminum producer Alcoa Inc. (NYSE: AA), which saw shares add 6.6%. 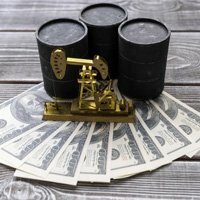 Oil Outlook: WTI oil prices today settled higher than the global benchmark Brent crude for the first time in more than five years. Global prices pushed higher after OPEC announced it expects crude prices to surpass $70 per barrel in the next few years. February's WTI prices were up 3.8% at $37.50 per barrel. Meanwhile, Brent oil crude – priced in London – was up 3.5% at $37.36. This was the first time Brent crude prices slipped below WTI day-end prices since August 2010. WTI is trading higher for two primary reasons. First, the United States is planning to lift its export ban on WTI crude, which is a higher quality form of oil and more favored by refineries. Second, production in the North Sea, where Brent is produced, is on the rise, a move that suppresses prices. The sector's most active traders today were Exxon Mobil Corp. (NYSE: XOM) and Chevron Corp. (NYSE: CVX), which added 3.3% and 3.9% on the day, respectively. The top gainer in the energy sector was Baytex Energy Corp. (NYSE: BTE), which surged 23%. Brazilian Blues: The Brazilian economy, which used to be considered one of the best emerging markets in which to invest in the 21st century, is feeling the pain of stagflation, cratering oil prices, and continued corruption in its political class. In a sign that its economy is faltering, Wal-Mart Stores Inc. (NYSE: WMT) is on the verge of closing nearly 30 stores and renting several of its properties next year in the country, according to Brazilian newspaper Valor Econômico. The decision is just the latest in a series of shakeups in Central and South America as large multinational companies look to avoid exposure to a weak U.S. dollar and align with nations less susceptible to forex troubles. Wal-Mart just recently opened its first store in Nicaragua last month as the nation embraces more capital investment from its northern neighbors. On Tap Tomorrow: On Thursday, the markets will be closing early on Christmas Eve, but that doesn't mean the markets aren't in store for a possible Santa Clause rally before it shuts down for the holiday. The markets will continue to focus on energy stocks and materials stocks as OPEC's announcement heightens long-term optimism for the sectors. On the data side, investors will be looking to the first weekly jobless claims report that factors in the Fed's decision last week to raise interest rates. Estimize consensus expectations call for 270,755 Americans to have sought unemployment benefits. There are no major U.S. companies set to report quarterly earnings. Stocks to Watch, No. 1, LNN: Shares of Lindsay Corp. (NYSE: LNN) surged nearly 10% after the company crushed first-quarter top-line earnings expectations. The company reported an EPS of $0.62, besting Wall Street estimates of $0.56. Stocks to Watch No. 2, NKE: Shares of Nike Inc. (NYSE: NKE) pared gains from pre-market hours and reversed course, falling more than 2%. This morning, the stock hit an all-time high after the sports and apparel giant reported strong third-quarter earnings. After the bell today, the firm will complete a 2-for-1 stock split. Stocks to Watch No. 3, MU: Shares of Micron Technology Inc. (Nasdaq: MU) fell more than 2% after the semiconductor giant announced a surprise loss in its fiscal second-quarter earnings report after the bell on Tuesday. The company reported an EPS of $0.24 on top of $3.35 billion in revenue. Although the firm beat top-line estimates of an EPS of $0.23, it still fell short of Wall Street expectations of $3.5 billion. Stocks to Watch No. 4, BBBY: Shares of Bed Bath & Beyond Inc. (Nasdaq: BBBY) were off 4.6% after the company slashed its outlook after projecting weak third-quarter sales and earnings below Wall Street expectations. The company said it has experienced increased competitive pressures from online retailers like Amazon.com Inc. (Nasdaq: AMZN).